There are always multiple locations in home where you mostly like to sit in any of their free time! A home deck can also be changed to such a comfortable sitting place if you have a mind set to renovate it! The plan is pretty simple and cost-effective and things you will only have to consume is you creative brain and some muscle effort! 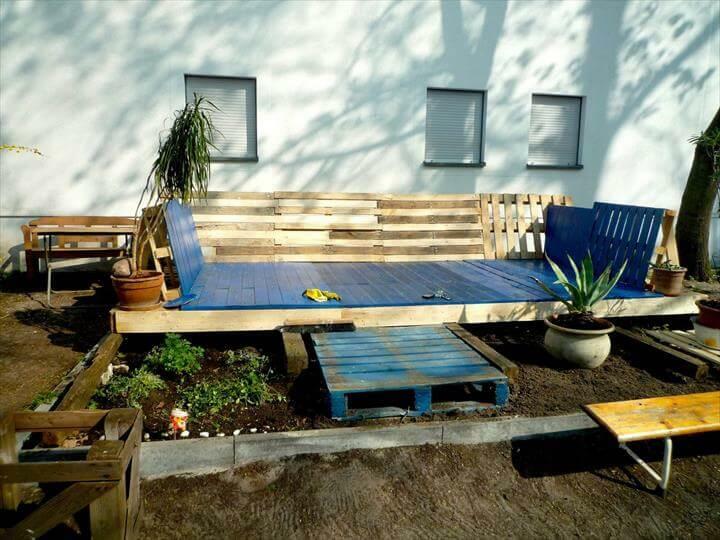 Before you start this DIY pallet deck furniture project, you should have some pallets as supplies and some wooden tools to put them together, to tear them apart or to bring them to sizes! A nice sleeping and sitting section has been built with perfect wooden boundary around, having extra large size to accommodate multiple outdoor lovers for sitting and gossips! For snazzier look, a skid has been repurposed to give a wooden walkway! You can think of many more possibilities to add more charm and fun to it! 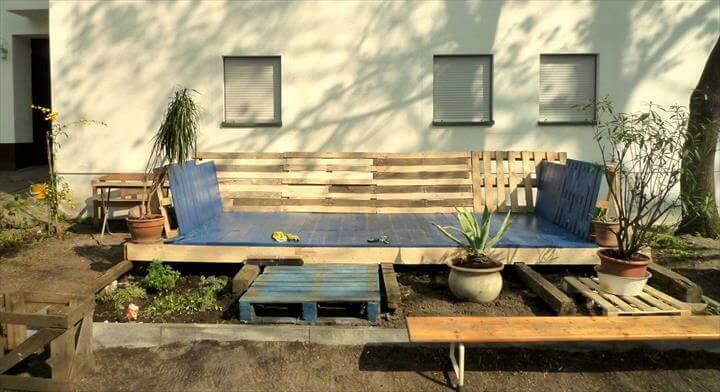 It is just a best pallet furniture project to start in summer weekends! 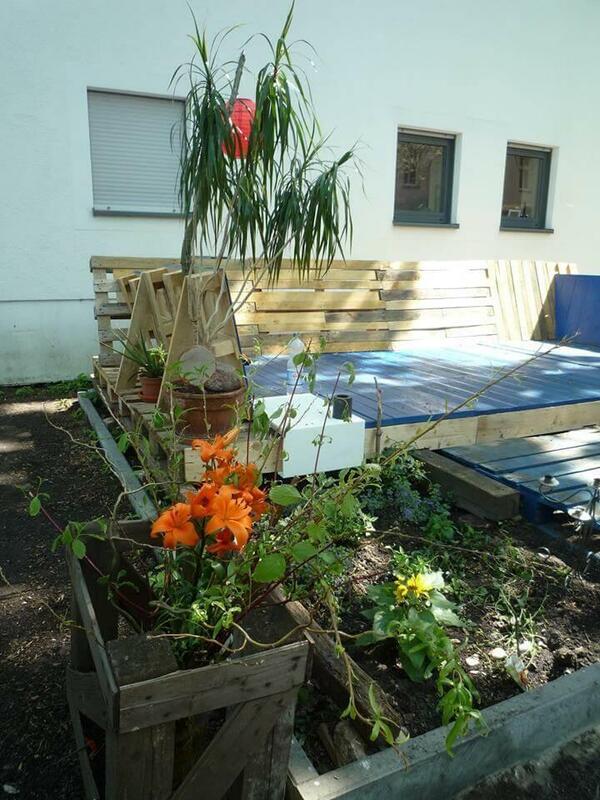 Sanding of wood, nice assemblage, paint and stain can be chosen to create more stability to this DIY pallet patio furniture along with an inspiring look! Let your home deck get some extra sitting place for fun and recreation! 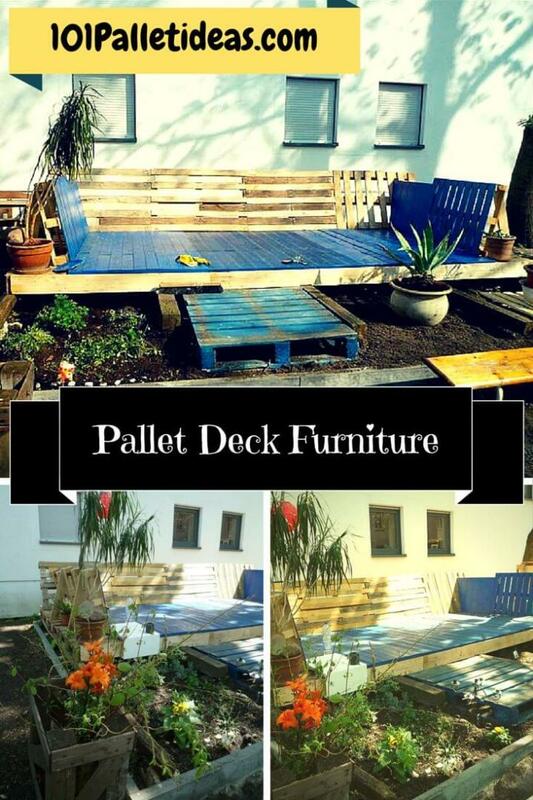 Make your outdoor look great and comfortable all the time with pallets, enjoy this sitting furniture for free! Whole pallets have been used so one can duplicate this setup just in no time! 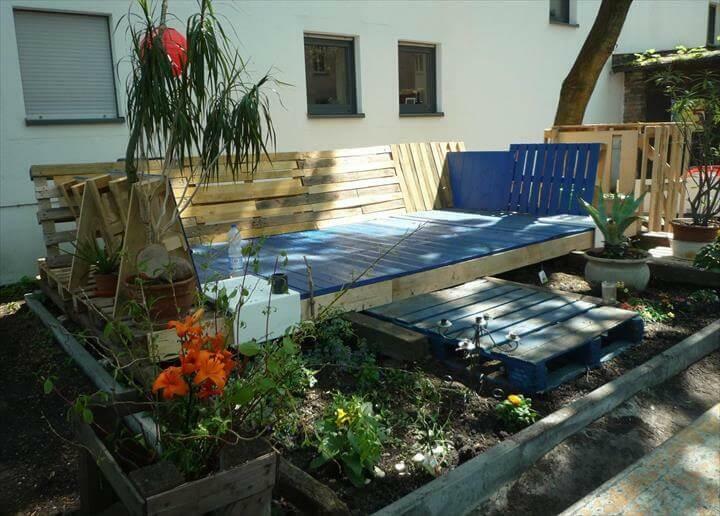 Along with the boundary all around, a pallet walkway has also been made part of the construction! 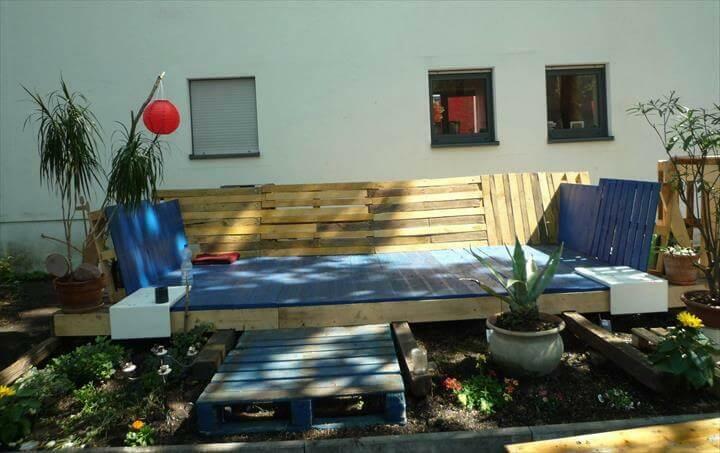 Really a creative way to turn you home deck into an amusing fun place or into a focal point on a budget!